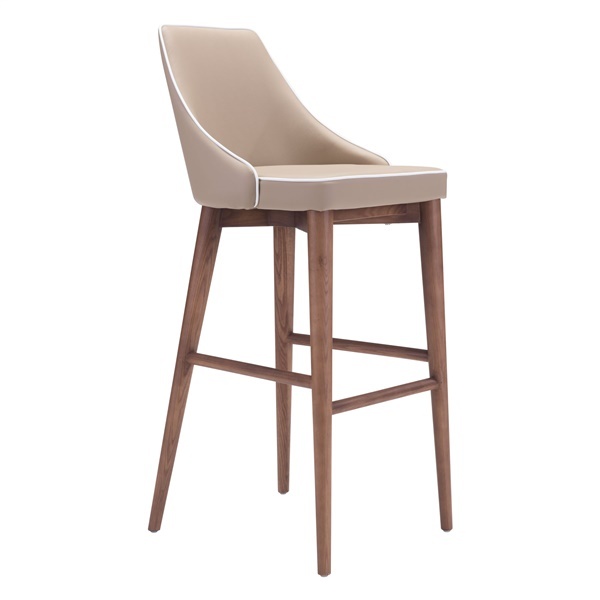 The Moor Bar Chair by Zuo Modern is an elegant take on the classic bar chair. High quality solid wood legs serve as the base to this bar stool, making it a versatile option for your breakfast nook, kitchen counter or home bar. The comfy leatherette seat is available in two colors to illuminate any color scheme. Finished with powder coated metal accents, this chair has a seat back and a footrest for comfort and style. Pair the Moor Bar Chair by Zuo Modern with other items in the Moor collection to provide fashionable and practical seating options for your home.